Responsibilities: Go over specific childcare duties, discipline philosophy, safety, cleaning toys/bottles/etc., child meal preparation and anything else you can think of with regards to day-to-day and occasional duties (this section alone covers 3 pages in our agreement!). Be sure to talk about any other types of duties you had in mind that are non-childcare related such as laundry, errands, meals, light housekeeping. Your expectations and your nanny’s should match, and this is where you really figure that out! Compensation: This is a complex section – try to think through all of the the different scenarios: overtime, evening babysitting, overnight care, bonuses, travel, reimbursements for miles, etc. Leave: How many vacation/sick days are you offering? When will they start accruing? Will any carry over into the next year? Will there be paid holidays? Termination: If either of you decides that this arrangement is no longer working, what is the appropriate amount of notice you each need to give each other? Are there variances if it’s for “cause” versus just not a good fit. Odds and Ends: How/when you will evaluate your nanny’s performance? If she is expected to travel, work through those details (number days; hours worked; compensation). How will transportation be handled (her car, your car, etc.)? Do you have any expectations of attire? Are there any included meals? We insist that this document is gone over in person because it is best talked through out loud. None of our placements are complete without it, and I would suggest that no one skip this step! 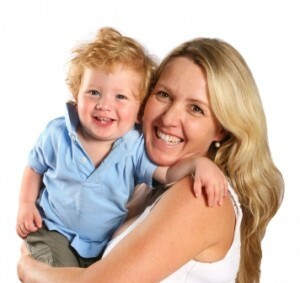 Contact Mom’s Best Friend for more information on starting a nanny search with our agency!